ARANER has already provided reliable power augmentation solutions for over 100 gas turbines across the globe. Improving gas turbine performance is always one of our main objectives. TESTIAC is the latest of these solutions and is already bringing smiles to the faces of clients. It is a combination of TES and TIAC, which are renowned in power augmentation and turbine performance improvement especially in hot climates. In this blog post, we will review some of the factors affecting the performance of a gas turbine (GT). Further, we look at ways of minimizing these factors by using solutions such as the ones available at ARANER. Is Gas Turbine Performance improvement really that crucial? GT performance is critical, especially now that the price of oil is unpredictable and demand for power is soaring. For example, in the Kingdom of Saudi Arabia, the demand for power generation fuel can exceed 400,000 barrels per day in summer. The situation becomes even trickier in such a hot environment because turbine power output reduces with an increase in ambient temperature among other factors as discussed next. Let’s take a look at all the factors that can have an impact on the final performance and that, as a consequence, will decrease energy output and increase cost. The gas turbine is a volumetric machine, meaning that the air volume rate (V1) is fixed. On the other side, the power output is proportional to the air mass flow (m). According to previous formula, as inlet air temperature of the turbine increases the air mass flow (m) decreases and turbine capacity also decreases. The same case applies for efficiency: the higher the temperature, the lower the efficiency, and vice versa. Gas turbines are popular in offshore platforms and other high humidity areas. You will also spot these machines in dry areas, usually with inlet coolers. In both scenarios, the air is humid and may affect overall performance. Some decades ago, the effect of humidity on turbine performance was negligible, or so thought the experts of that time. The effect is now very influential because gas turbines are larger. Have you heard the wide misconception that you can burn any gas in a GT? Of course, you will find gas turbines for any kind of gas, including refinery gases, steelworks gases, natural gas and syngas. The fact is that each turbine set up and design can only operate optimally within limited parameters. GT work is a factor of gas heat energy, mass flow and temperature differential. Both mass flow and heat energy are in a way determined by the type of fuel. The interesting thing is that fuels have different outputs. For example, natural gas is about 2 % more productive than distillate oil. This is because the components in methane have higher specific heat. Decreasing inlet air temperature is one of the most popular performance-enhancing methods. 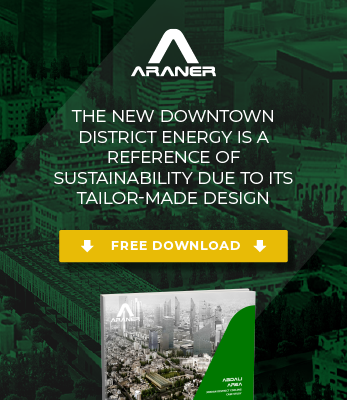 ARANER is renowned for using TIAC for various major projects across the globe. Three main solutions under this category are evaporative cooling, fogging and chilling, each of them suitable for different circumstances. Proper Maintenance and Cleaning of Inlet Filter. Dirty and poorly maintained filters could cause monumental loss of efficiency due to damage and clogging on the compressor blades. Pressure drop is a consequence of dirty inlet filters. Regular checkups and cleaning of the component can maintain the performance of the Gas Turbine. Washing the Compressor. This is a tricky yet very important exercise for the good health of your GT. Industrial Gas turbines normally operate in not-so-clean environments. Their compressor blades are bound to accumulate dirt with time. Have an expert guide you on whether to wash the compressor online or offline. Gas turbines have increased in size over the years, but unfortunately, this comes with challenges. Ambient and system factors affect performance, which might lead to less output for power plants. ARANER has state-of-the-art inlet air cooling solutions to counter these problems. Our solutions are suitable for already existing gas turbine systems and can improve power output with no need to increase the size of the power plant.